Take the following example: if you know density is representative of the weight of a 12″ x 12″ x 12″ sample of foam, and a 2.8LB density value for open-cell polyurethane foam is considered high-quality (it is), you’re ahead of the game. But when you think of 2.8 as just another number on the density scale, you realize you need to know the typical range of values on that scale to make comparisons with any degree of accuracy. With a clear explanation of the typical range of open-cell density values, and a simple three-category breakdown, this article should help you make informed decisions and get you the right foam for the job. Foam in this range is considered low density and fair quality, primarily intended for specialty applications and lighter use. These low-density materials carry less physical foam mass compared to higher densities, making them susceptible to breakdown more quickly. Fair-quality foams can serve many purposes however, and their low-density affordability makes them a great material for many jobs. For example, a low-density material is excellent as one-time packaging for shipping, or for protecting infrequently-used items in storage, like holiday decorations. With a cost less than that of high-density materials, you can get all the performance you need from a more affordable product. Lower density foam also makes sense in occasional-use comfort products. A low-density mattress topper will soften the hardest guest room beds, saving you the expense of replacing a bed that only gets used a few weekends each year. 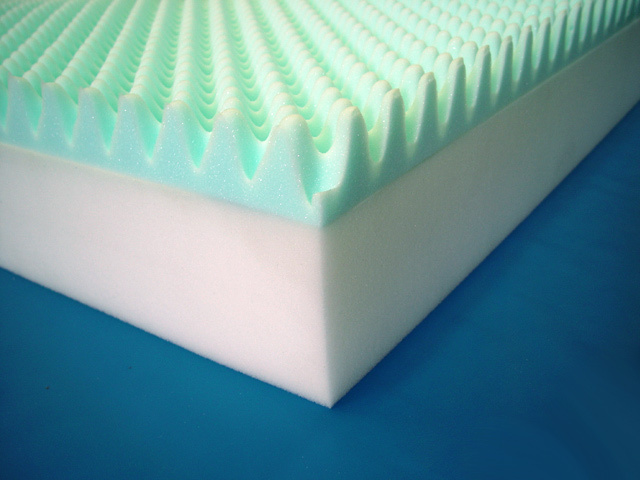 With infrequent use, the foam will hold up much longer than it would were it to be used in your own bed each night. Pairing fair-quality foam with the right application gives you functionality and affordability, providing plenty of value for products in this range. Foam within this range is medium-density, and should be considered good quality. In this range, you’ll find a more resilient group of products that hold up better to more vigorous and frequent use. 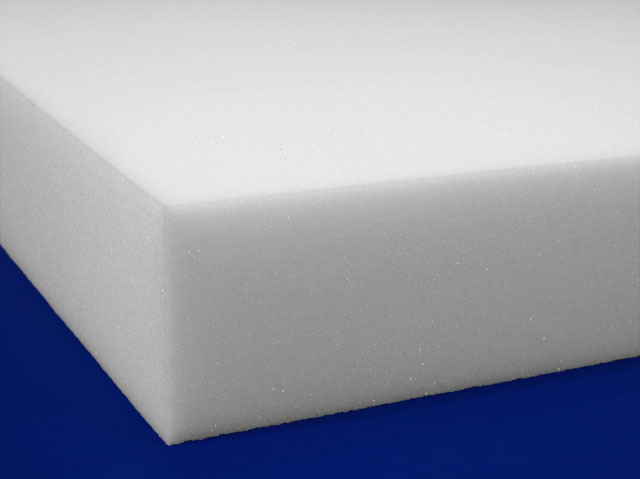 By bridging the gap between fair- and high-quality foam, this medium-density range generally has the broadest span of material quality from its low to high end. Fortunately, foam density has a linear relationship with quality, so the greater the number, the more durability and resilience a product offers. Essentially, “bigger is better,” when dealing with foam density. 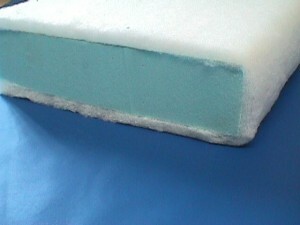 Many of the conventional foam products on the market are made from materials that fall in this density slot. However, some retailers like to claim their 1.8LB foam is high-quality. This is exaggeration. It very well may be the highest quality foam they offer, but there remains a higher tier of foam density available to those who want the top-quality open-cell foam for the most demanding applications. Foam in this range is still good-quality though, and many types at the higher end of this range are made into cushions and pillows. Frequently used packaging made from materials at the lower end can maximize bang for your buck with reusable performance as well. You’ll be hard-pressed to find everyday products in a density or quality greater than the materials in this segment. 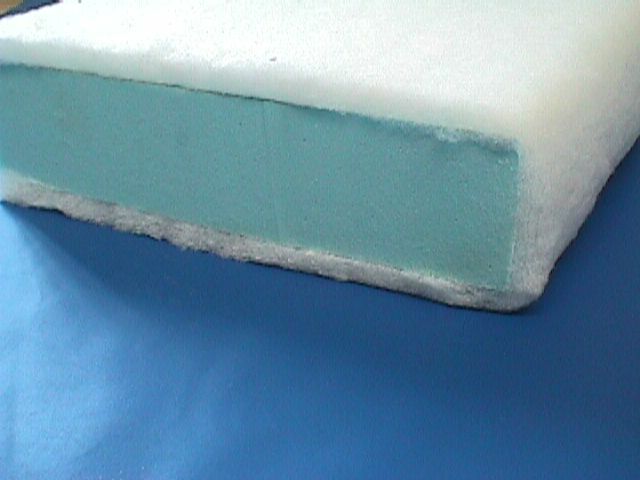 Compared to the lowest density materials, high-quality foam can have as much as three times the foam mass in the same-sized product. Products with a density in this range offer the greatest quality and are the most resilient products available, making them perfect for high-abuse jobs like cushions and mattresses, especially when you want additional resilience over what medium-density foam can offer. In many ways, products in this range can be looked at as an investment. They will carry a heftier price tag than lesser materials, but it represents the cost of greater longevity and performance. In comfort and support applications, high-density foam in this range represents the best conventional open-cell foam has to offer. As you can see, a half pound of density, or even just a tenth of a pound, goes a long way in the world of foam. With a majority of products falling between 1LB and 3LB density, understanding the degree to which a seemingly small numerical difference can make will give you the ability to find the right foam product for your needs. looking for a product we can make archery targets and Boogie boards. Both projects will be outside use on the Oregon Coast. Were looking for 2″ thick High density, that is what Ive seen in similar targets and boards. We will be building our own targets and boards. What size does it come in, what density and colors? We would suggest our either our 4LB polyethylene foam or 3.8LB Minicel EVA foam for your application. Link is included for sizes and pricing.